Next StableNextSol Industry Day will take place, together with the 7th MC and 6th WG Meetings of the Action, in Lisbon (Portugal), 6-7 April 2017. Information can already be found in the event website and will be updated as the dates come closer. Last May 18th 2016, our StableNextSol colleague Dr. Beatriz Romero organized the Women in Science & Engineering Conference at Rey Juan Carlos University . This conference focused on the need to dismantle gender stereotypes and encourage female students to develop scientific and technical careers. Ana Puy, Director of the Women and Science Unit of the Spanish Ministry of Economy and Competitiveness, was one of the invited speakers. The 10th edition of the International School on Hybrid and Organic Photovoltaics (ISOPHOS 2016) will be held from the11th till 15th of September 2016 in the wonderful atmosphere of Castiglione della Pescaia (Tuscany, Italy). The school focuses on recent advances in science and technology of organic and hybrid photovoltaic devices, including perovskites, dye solar cells, polymers, and the use of Graphene and other 2D materials for energy applications. ISOPHOS is organized by the Centre for Hybrid and Organic Solar Energy (CHOSE), ENEA and Cicci Research with the sponsorship of the European COST Action StableNextSol, the European Graphene Flagship, the EU CHEOPS and CHEETAH projects, the EU ITN Destiny project, the European Energy Research Alliance (EERA) and the italian projects PRIN-Aquasol and “Research on innovative photovoltaic technologies” funded by the Italian Ministry of Economic Development. Grants for participation to the School are available. See ISOPHOS 2016 webpage for additional details. Join the experiment on perovskites! Do you want to take part in the experiment on perovskites organized within WG2-PSC? Do you think your group can contribute? Fill in this survey and send it to the WG Leader Dr. Francesca Brunetti and StableNextSol by May 6th, 2016. A new call for Short Term Scientific Missions (STSM) for the 3rd year of the Action is now OPEN!! The Workshop on lifetime and stability of hybrid and organic devices, that will take place in Paris (FR), 21-22 April 2016, is co-organized and features contributions of several StableNextSol members. The aim of the workshop is to discuss common strategies and solutions for improving the lifetime and stability of organic devices and hybrid systems such as perovskite. The Symposium will take place September 26-28 2016. 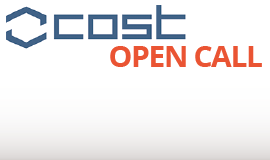 The 5th MC Meeting / 4th WG Meeting of our StableNextSol COST Action will take place in Bratislava (Slovakia) 21st-22nd April 2016, together with the “New trends in Solar Cells” Conference. All MC Members, STSM beneficiaries and speakers attending should have received the e-COST invitation. A budget of up to 700€ has been allocated to travel to the Meeting. Looking forward to seeing you in Bratislava!